The match was absolutely thrilling. Some of the passes were sublime, the movement terrific and the pace breathtaking. And despite it all, there were long stretches without much in the way of chances. It was a bizarre match, but a truly terrific one. 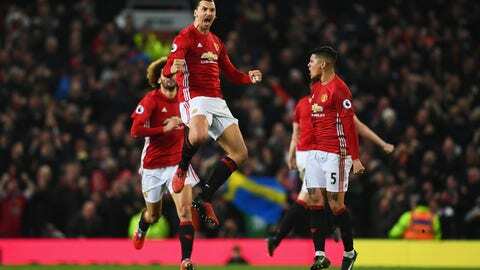 Of course it was Zlatan Ibrahimovic who scored the equalizer. If there's a big goal to be scored, he's going to be the man doing it. And while it's easy to dismiss his tally as simply getting lucky that the ball found him, his movement around the box to get in position for that goal was phenomenal. Remember when Liverpool were in desperate need of a new goalkeeper because Mignolet was such a disaster? Now Mignolet still isn't great, but he's improved all season and he was terrific at Old Trafford. 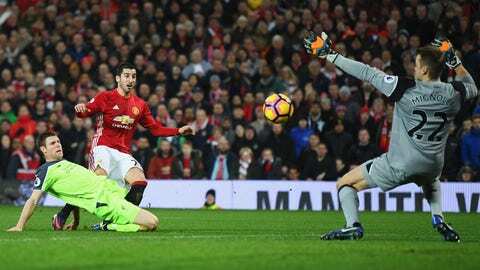 He made several fine saves, including a denial of a Zlatan Ibrahimovic free kick and a truly outstanding save on Henrikh Mkhitaryan. What happened to Paul Pogba? For the start of the match, Pogba was the best player on the pitch. His passing and movement gave Liverpool fits, he shrugged off defenders with ease and he made it difficult for the Reds to find space on the counterattack. But then he conceded a bizarre penalty and it all fell apart. He wasn't the same player anymore. It made no sense. Sadio Mane is gone because of the Africa Cup of Nations and Nathaniel Clyne missed his first match of the season with a rib injury. 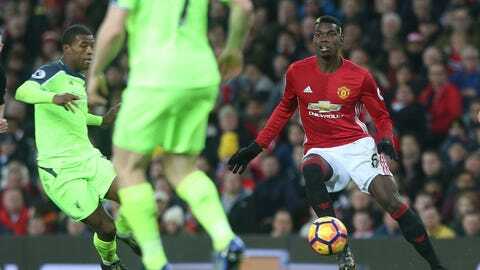 Liverpool could have used both as they sometimes struggle to keep up with the pace and lacked dynamic players in the attack. 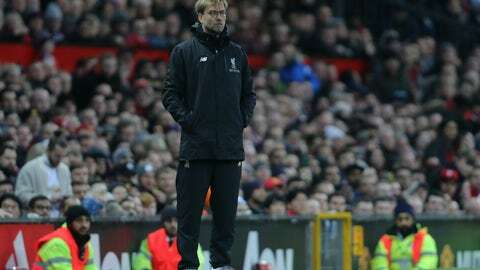 Considering the Reds were missing a pair of important players, and it showed, they are probably pretty pleased to get the draw at Old Trafford. 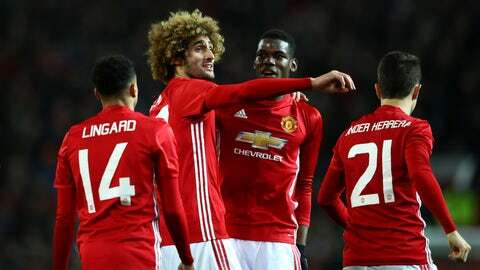 You could hear the groans at Old Trafford when Fellaini came on the pitch, but he was instrumental in United's equalizer. 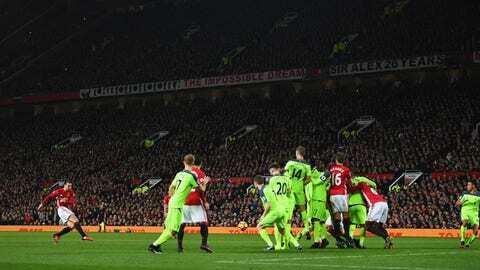 It was his terrific header that hit the post and left Liverpool scrambling. The Belgian is obviously limited, but he's always been magnificent in the air and, on this day, that is the one thing that United needed from him. Who's the better team: Manchester United or Liverpool? It's tough to say right now and if you're Chelsea, Tottenham, Arsenal or Man City, deciding who you want to drop points would be tough. So instead of worrying about who might win and lose, they get a draw where both teams drop points. Those four teams love this result.